However, if you invest the time you can find a reliable professional who will give you the best handiwork and customer care possible. This type of work can be tricky and takes a great deal of skill, training and even specialized equipment. So you have to be sure that who you hire meets these credentials, as well as the industry minimum for licensing and insurance. When you hire someone at your job you conduct an interview. So why wouldn't you do the same for hiring someone to take care of your own property? Although you can certainly ask more than just these questions, these are some suggestions for getting started. This gives the professional an opportunity to offer up if they are licensed and insured, first and foremost. If not, do not accept any clever excuses for why they are not. They should also be able to tell you about their work history and any awards or certifications they have earned. You would expect this from a candidate at your work place so why not expect the same here? This gives you some contact info of previous clients to find out more about their work. It is important to know how long your prospective company thinks your job will take and how much it will cost. You can also ask if they "top" trees. This is not something that is a good practice for true professionals so you may want to avoid working with a company that follows this type of workmanship standards. You can also take this time to get an overall feel for how professional the company is and if they seem knowledgeable about the services they offer. Of course you can bypass all of this hassle by simply calling on the team locals trust. At C.S. Flournoy we have been providing Highland Spring and nearby communities with the best in tree removal and other related services. 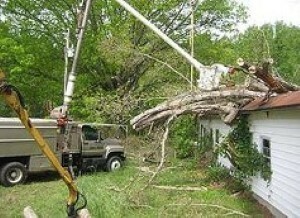 Call today so Richmond Tree Removal Company can get started. If you are looking for Short Pump Tree Removal then please call 804-264-1000 or complete our online request form.